In North America, an old favourite woke up again – Team Solo Mid won both games in week 8. The Summer Playoffs now seem to be available again for the traditional club and we will see what week 9 will bring. We are also eagerly awaiting who can make it to the top of NA. Currently Team Liquid still leads with 11 wins, closely followed by 100 Thieves with 10 wins. But right after C9, Echo Fox and FlyQuest all follow and waiting for their chance with 9 wins (NA LCS table). Unfortunately Team Liquid could not have drawn more difficult encounters in the last week (week 9) of play. On day one TL has to face Echo Fox and on day two they have to resist against TSM, who are currently taking the fast lane to the summer-split-playoff-plain. 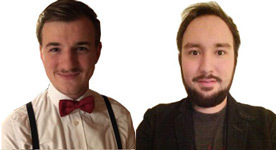 We from esports-betting can hardly wait for the upcoming weekend. Don't miss the livestream – starting on 18th August 23:00 CEST! Week 9 brings the decision of the regular split for North America. I still can't decide whether the first encounter TL vs. FOX will be my top game, or rather the last encounter TSM vs. OPT. Both teams are fighting for their participation in the playoffs and a TSM not participating in the Playoffs, is probably as bad as the German football team disqualification in the group stage of the World Cup. Besides the favourites we see many more exciting matches in week 9, so I'm even also excited for the matches of the teams we won't see in the playoffs again. No roster changes known for Week 9 of the NA LCS Spring Split 2018. All major betting sites are already providing bets and odds for the upcoming matches of Week 9 of the NA LCS 2018 Summer Split, furthermore you can also bet your money on the overall winner of the Summer season. As always you will find a comparison of the most important League of Legends bets and betting odds of our renowned eSports betting providers right here. 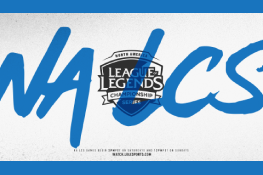 The betting odds listed below are always subject to change, just take a look at our LoL LCS 2018 betting odds site or follow the links to the betting sites for up-to-date information. Echo Fox encounters Team Liquid in the first match of week 9. Fox has had a painful week 8 as both games were lost. At first the 100 Thieves could dominate against Fox and second Fox lost against Optics with a bad matchup and even worse performance. TL won against Optic Gaming on day 1, but lost in a very exciting game against Cloud9. Looking at the table gives TL some room for manoeuvre (1 win ahead), but TL will have to play against TSM on day 2 as well, so it's not an easy weekend ahead of them. Last time TL vs. FOX played in week 3 and Team Liquid won the game. Despite the Meta, TL chose a Xayah/Rakan Botlane and TL-Doublelift and Olleh did their part to ensure that the decision was not regretted. The 25 year old Yiliang “Doublelift” Peng, who was still under contract for TSM last season, finished the game with 11/0/9 and TL gave Fox the first “Stomp” of the split. They won the game in 22 minutes. On the other hand FOX had made some important roster changes again and replaced FOX-Fenix (Left in July), Altec (Left in July) and Feng (goes to Cloud9) with Damonte, Lost and Smoothie. It will be the top game of the evening and we are looking forward to the second round of the two favourites. Its a very strong Echo Fox, nevertheless I expect TL having better chances at the end. So I'm betting on a 0:1 for TL. The 100 Thieves encounters Cloud 9 and right after the first top game we are spoiled with the next exciting encounter. Cloud9 was happy about the hard-fought victory against Team Liquid in week 8 and the victory on day 1 against the Golden Guardians. 100 Thieves, on the other hand, scored against FOX, but then lost to a strong TSM-Zven on Varus. In between it looked good again for the 100, but in the end the 100 Thieves could no longer defend the second baron power play. This game is also difficult to predict, but according last week's performance, I see Cloud9's victory as more likely. I expect a 0:1 for Cloud9. Counter Logic Gaming encounters Clutch Gaming. In the last match between the two teams, CLG won the game. In the last week, however, both teams remained victorious. The playoffs are now computationally unattainable, but that doesn't mean that no more efforts are made. Now it's time to make up points to avoid the relegation tournament. Because 8th, 9th and 10th place must then prove themselves in order to secure their place in the lcs-class. I expect a balanced game with a classic matchup, at the end I see the 1-0 victory for Counter Logic Gaming. The Golden Guardians encounters against the famous FlyQuest. The last match in week 3 ended with a victory for FlyQuest. For the Golden Guardians, the trip will be over, but FlyQuest has to stay focused to secure their playoffs in the last two games. The strong TSM and OPT are only one win behind and the game against GGS has to be a win for lyQuest. The chances are good and if no big mistakes are made, every lane will be able to win. The meta is almost over and the fire of GGS seems to burned out in week 7, so I'm betting on a 0:1 victory for FlyQuest. The last match of the first matchday will be played by Optics against TSM. Both stand on 8 victories and fight for their participation in the playoffs. TSM scored two points in the last week and has made up for his deficit, because Optic Gaming lost to Team Liquid. Who has already forgotten, the last meeting of the two teams was positive for Optics in week 5. In an eventful game and after lead of TSM in the midgame and early game as well, the Optics succeeded with a brilliant turn with a baron power play. On day 1 we can expect three very exciting games and this one will be no less exciting. 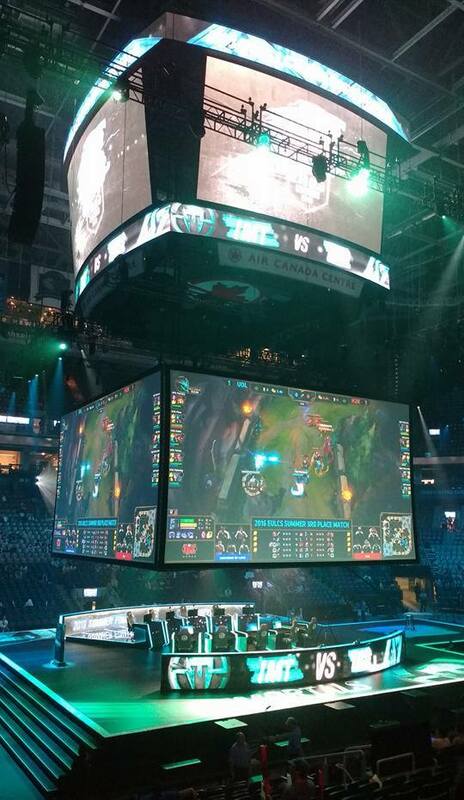 However, I still estimate that TSM will win 0:1. Day 2 starts with Counter Logic Gaming against the Golden Guardians. Both teams last met in week 5 and the GGS won the game. After 16 minutes the toxic-heimer-fiddle-botlane paid off and GGS-Deftly and GGS-Matt, who both joined the Golden Guardians at the end of last year, contributed their share to the victory. Counter Logic Gaming was surprisingly passive in this summer split, but also had its moments of glory in between. The CLG vs. GGS match is about placing for the relegation tournament and both will probably have two chances to stay in the North American League of Legends Championship Series (LCS). I'm betting a 1-0 win for the Golden Guardians. The second game is played by Optic Gaming against the 100 Thieves. I would like to know the outcome of the first day of play right now, to put second day matches in relation. What is certain is that it is called either Optic Gaming and TSM for the summer split playoffs. Both teams are matched against difficult opponents in week 9, because TSM has to play against TL in match 5. The last encounter between 100 Thieves vs. Optic Gaming were taken place in week 3 and ended with a win for 100. Also for this game I estimate the chances of the 100 Thieves higher and therefore commit myself to a 0:1 for 100 Thieves. Echo Fox encounters clutch gaming. They last met in week 1, under the dreaded patch 8.11. Fox had won the encounter in week 1. CG currently on 6 points has lost his chances on the playoffs, but could save himself with an unlikely double victory for the relegation tournament. With CG-Solo, LirAA, Febiven, Apollo and Hakuho Clutch Gaming has a strong roster, but in my opinion there have been to much difficulties with the implementation of the Mage-Meta. The team managed to deal with the meta, as it was not no longer viable. Also the decision making in the pick-and banphase were not the best, too often essential bans weren´t made. I guess that just like in week 1 Fox will win this game and therefore bet on a 1-0 win for Echo Fox. FlyQuest will face Cloud9 and it will be one of the more exciting games of the second day of play alongside Match 5. Both last played against each other in week 4 and Cloud9 won this game. Both teams currently stand on 9 victories and are 50% sure in the playoffs. I'm looking forward to see the game repeated in Bo5 format. At this point in the split, I still see Cloud9 currently stronger. FlyQuest will probably have won their first game against the GGs and be safe in the playoffs. So, it will be a hard-fought 0:1 for Coud9. It will be the top game of the night and the end of the regular league phase of the NA Summer Split – TSM encounters Team Liquid. Both teams last met in week 2 and Team Liquid won the game. Reminder – week 2 was already patch 8.12. In the sense of a Bo1 it already went wrong for TSM in the pick and ban phase. Both Favs – Swain and Zoe were banned by TL and Kai´Sa remained open. TSM chose the route via an Ezrael/Rakan Botlane, which, as expected, could not resist Kai´sa/Morgana. In the middle of the split TSM then fell into a firm crisis under patch 8.13 and 8.14, TSM supporter Mithy publicly admitted that his mates didn't play him aggressive enough and the team slowly lost its reputation even in the eyes of the otherwise TSM-loyal analysts. Now week 8 and 9 was played under patch 8.15 and Team Solo Mid regained its former strength. I think that TSM can surprise us positively again in the playoffs with a Bo5 and proves to us the true class of the individual players. Optics and TSM are competing for a playoff seat and maybe we'll see a tie-breaker after the last day of play – however, it's going to be a long night. Knowing that TL is number 1, I still bet on a 1-0 victory for TSM.